Happy Chinese New Year! This awesome game honours a culture that lives for luck, success and prosperity. Here at Slots of vegas we are rooting for our players to prosper each and every day with our amazing prizes! Happy Golden Ox of Happiness is somewhat unusual in that it is a 50 line slot game. Players can wager as little as a cent or as much as a hundred dollars. Look for the Year of the Ox scatter symbol and the Happy Ox wild card icon. There's also the handy Autoplay feature for those who want to use it. Celebrate the Chinese New Year with a bigger bankroll. Play Happy Golden Ox and Win Big! This is the year of the Golden Ox! This is the year is when you are going to get your big break! Happy Golden Ox of Happiness is a five reel slot machine that comes filled with great prizes, free games and re-spins for you to make lots of cash. Happy Golden Ox of Happiness also offers an amazing Progressive Jackpot. Start your Golden Year by playing Happy Golden Ox of Happiness now! Another Asian themed slot machine you will enjoy is Wok and Roll Slot. Happy Golden Ox of Happiness slot machine is played at compulsory 25 lines and a fixed bet per line of $1. You may spin the reels by simply pressing the Spin button or you can have the game spin the reels for you by using the Autoplay feature. The "Happy Ox" will serve as a wild symbol substituting for any other symbol in a winning combination except scattered "Year of the Ox" symbol. A Re-Spin feature is triggered as the "Happy Ox" appears on both reels 1 and 5. Three or more scattered "Year of the Ox " symbols appearing anywhere will trigger the Free Game Feature. The Free Game Feature will award 8 free games during which prizes are tripled. The Progressive Jackpot is triggered totally at random, regardless of the amount wagered. Be prepared to play for a longer span of time. To be able to see results while playing any slot machines you have to play for a long period of time. If you want to practice beforehand, make sure play on free slots beforehand. Know when to stop. Knowing when to stop can make the difference between having a great time and losing lots of money. Substitute: the substitute icon serves as a wild symbol substituting for any other symbol in a winning combination except scatters. Scatter: three or more scattered symbols appearing anywhere will trigger the Bonus Feature. 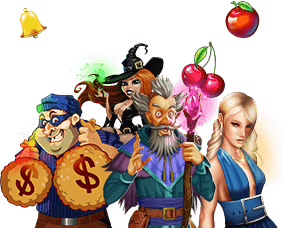 Progressive Jackpot: the Progressive Jackpot accumulating 50 or more medals during free games.